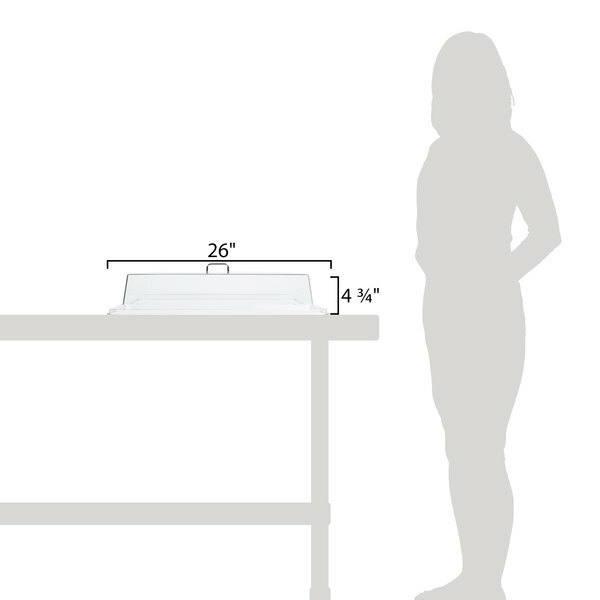 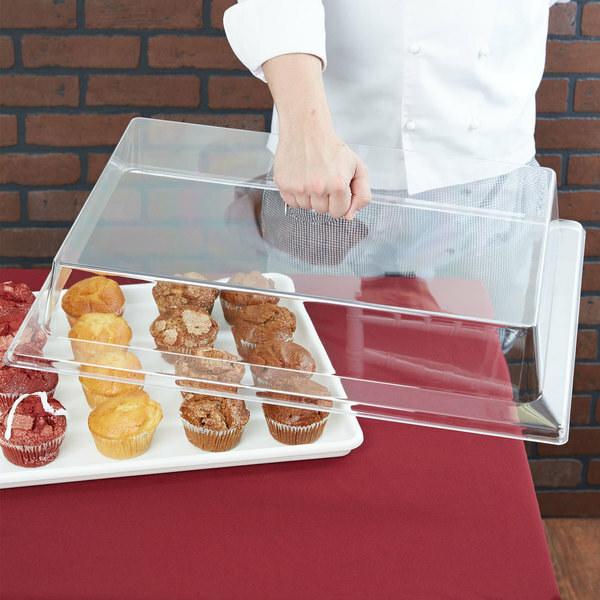 Show off your deliciously exquisite baked goods, finger foods, hors d'oeuvres, appetizers, or desserts while protecting they're quality and freshness with this 18" x 26" Cambro RD1826CW Camwear clear rectangular display cover. 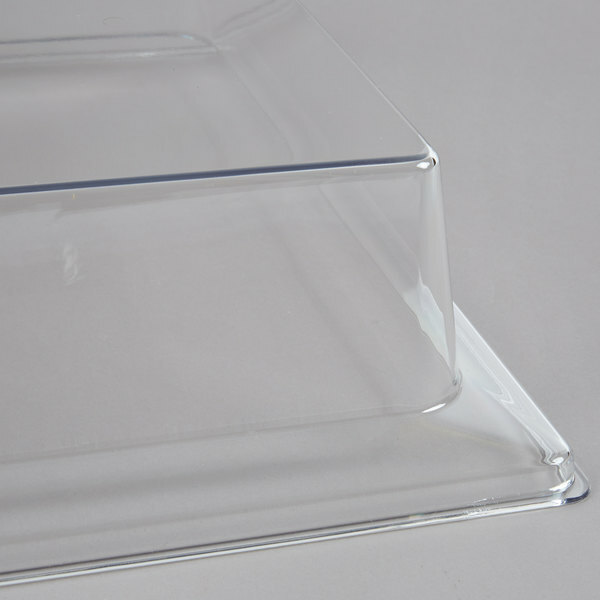 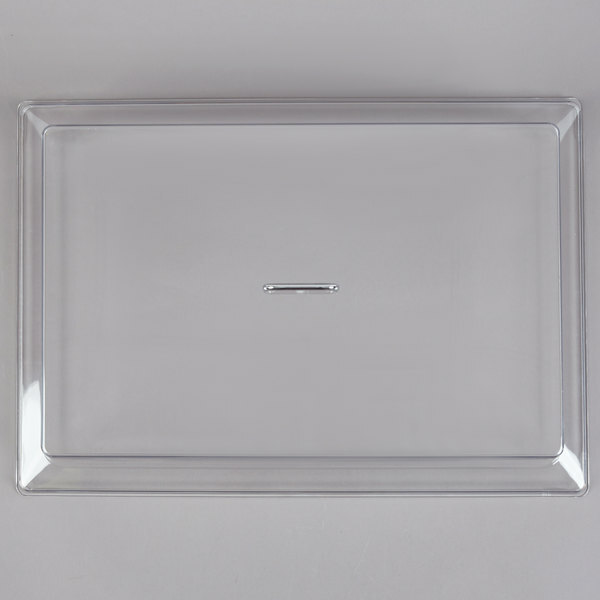 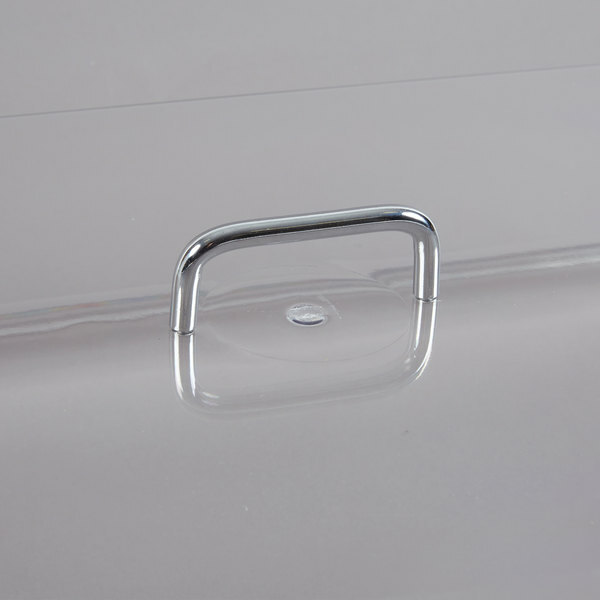 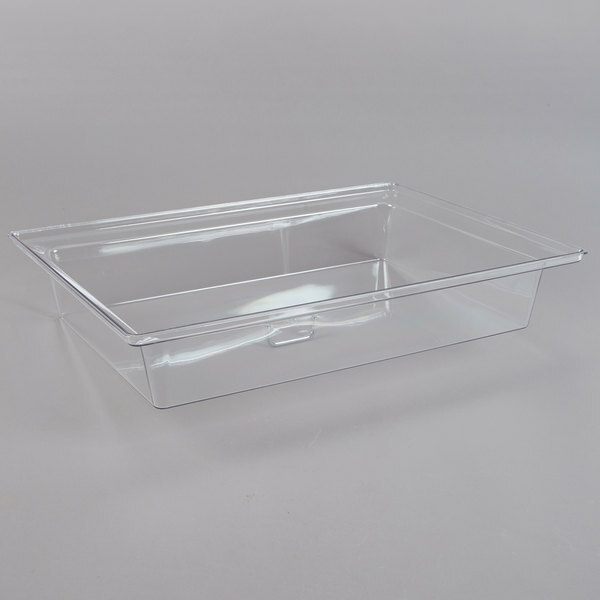 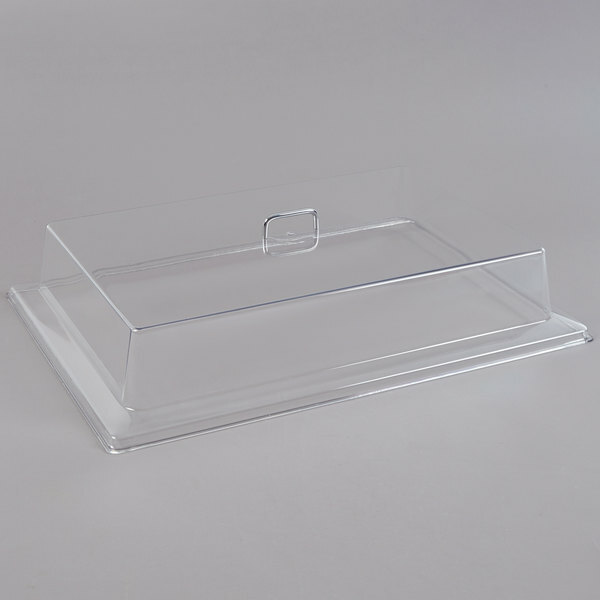 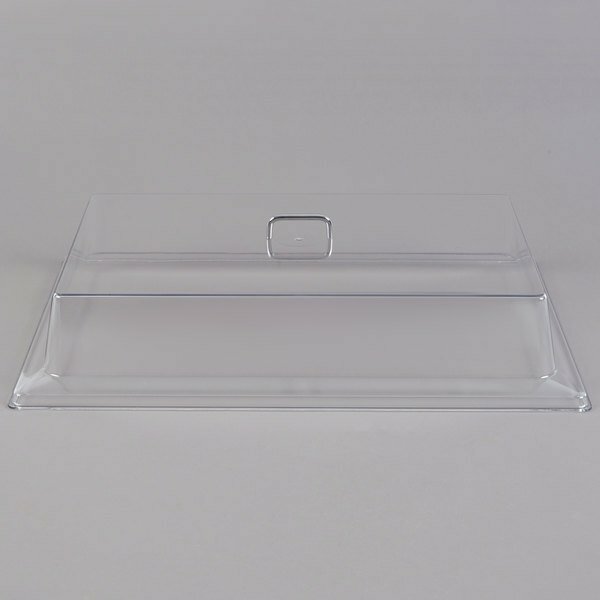 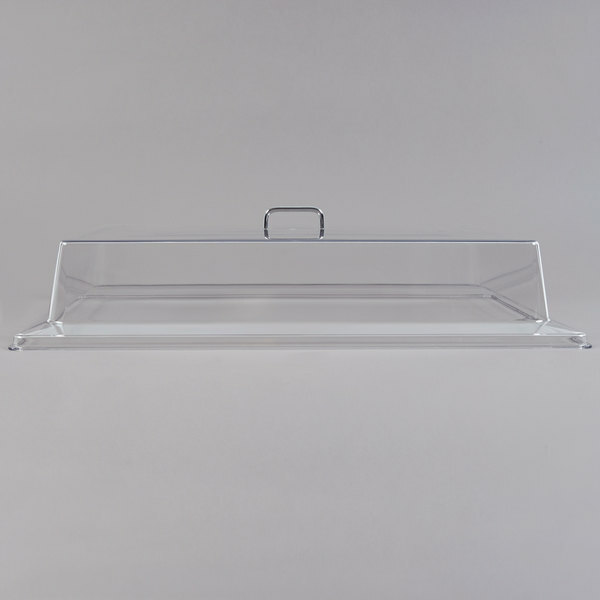 The Cambro RD1826CW Camwear rectangular tray cover combines the look of upscale glass with the durability of break resistant polycarbonate plastic. 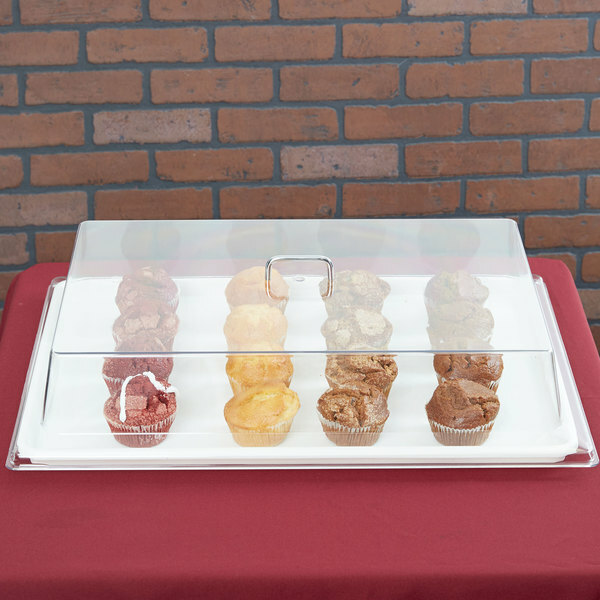 An eye-catching chrome handle provides easy access to products at your buffet, cafeteria, bakery, or next catered event.